The Pacific Northwest - composed for the purposes of this book of Oregon, Washington, Western Idaho, and Northwestern Montana - has been accused by many as a region devoid of any significant cultural history. While it is home to some of the nation's most idyllic environmental wonders, the region has always been plagued by the general notion that the best and brightest often left the area in search of greater things, that the mainstream world 'out there' was generally thousands of miles away - or at least as far south as California. 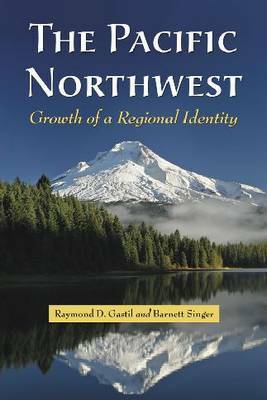 This book describes the Pacific Northwest's search for a regional identity from the first Indian-European contacts through the late twentieth century, identifying those individuals and groups 'who at least struggled to give meaning to the Northwest experience'. It places particular emphasis on nineteenth-century writers and other celebrated individuals in the arts, detailing how their lives and works both reflected the region and also enhanced its sense of self. The late Raymond D. Gastil was a social scientist and writer on American culture. He lived in Deep River, Connecticut. Barnett Singer is a professor emeritus of history at Brock University. He has published a number of other books in French history.